Every year a slew of AAA games vie for our attention and money. Stacked holiday periods, while still a tradition, are no longer the only prime time AAA publishers are fighting between one another for a slice of the money pie. AAA games are so spread out across the year yet appear to release so frequently that it’s almost impossible to find the time to play them all – especially when the majority of them are delivering the goods. Quite often it’s easy to get an idea of a game’s quality before it launches, making it easier to decide who gets your cold hard cash on day one. Games like Red Dead Redemption 2, God of War and The Legend of Zelda: Breath of The Wild were always going to score big critically and set the tills alight. However games like Assassin’s Creed: Odyssey, Resident Evil VII: biohazard and Watch Dogs 2 all surprised critics and players by exceeding expectations and providing largely great experiences. I mean, people knew they were going to be good, solid games, but who would’ve thought a couple of years ago that Assassin’s Creed would be contending for Game of the Year accolades in 2019? Who wants the first bullet? 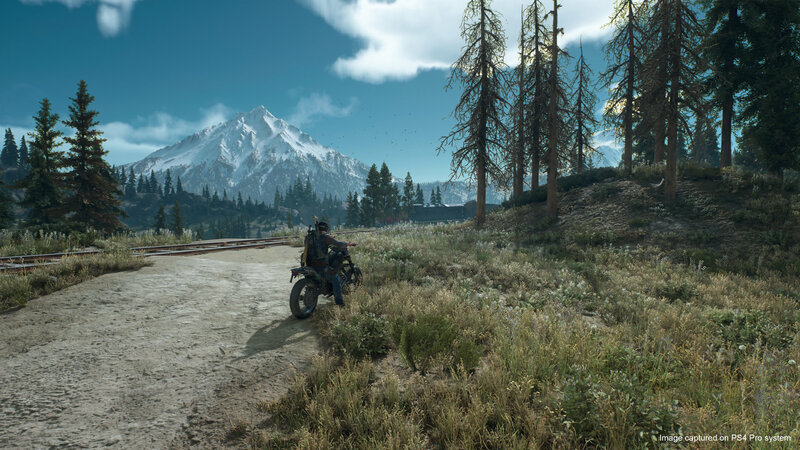 Days Gone – the newest IP and exclusive title from console powerhouse PlayStation (Sony) – finds itself in an interesting position ahead of its April 26 launch. Despite Sony’s recent incredible track record, there’s still a lot of reservation surrounding the title. Players are wary about buying into the hype too much – not wanting to get burnt as a result (a la The Order: 1886 (love that game)), and are more than happy to wait for reviews or a sale. Is it because of the game’s premise? 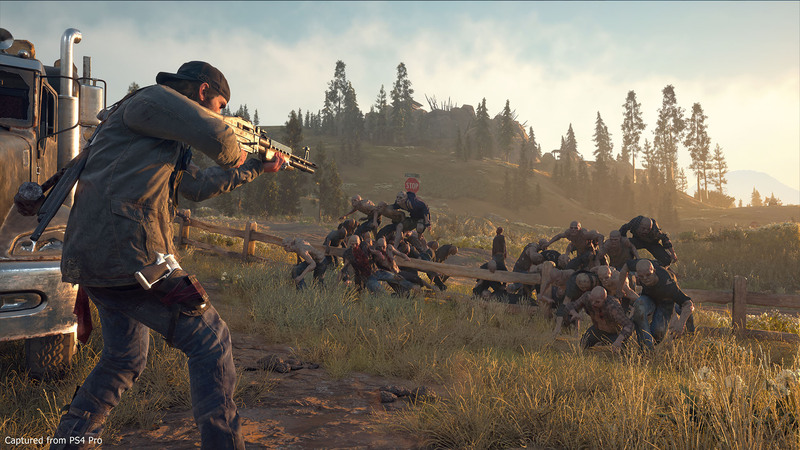 Open-world zombie games aren’t the flavour of the month anymore and are considered a stale genre if you ask most people (although Sony Bend has stated a number of times that Days Gone doesn’t feature zombies). Is it the fact that the game has had a slightly tumultuous development cycle, one plagued by delays? Or is it people’s lack of faith in Sony Bend? A studio that has been dedicated to developing PS Vita and PS Portable titles over the past twelve years, with their last true console release being Syphon Filter: Logan’s Shadow for the PS2 in 2007. While the concern surrounding Sony Bend’s lack of recent console releases may be somewhat valid, it’s important to remember that they’re a part of the larger Sony family, who have some of the most talented developers at their disposal. If problems were to arise, help is no more than a phone call away. Perhaps most surprisingly, preview content – including our very own – has largely praised the game so far. Pundits have expressed surprise at how fun the gameplay has been, although it hasn’t been without the concerns that come from playing an early build. Unsurprisingly though, a lot has been made about the potential the story and world of Days Gone holds. After all, Sony Bend and Days Gone come from a lineage of strong story-driven games, and while the foundations of Deacon’s story of survival may not be original, the location in which the action unfolds is what makes it unique. Instead of being set inside a desolate metropolis or a barren wasteland, Sony Bend has chosen the picturesque high desert of Oregon, whose landscape is full of lush foliage and wildlife. While there’s a large portion of PS4 owners chomping at the bit to get their hands on Days Gone, the hype levels pale in comparison to recent exclusives such as God of War (which is understandable) and even Horizon: Zero Dawn. Maybe the timorous response will work in the game’s favour and it will exceed both player and critical expectations. I know that early doors my expectations floated between tepid and hopeful. But as more details have been revealed I have found myself more and more excited for Deacon’s story (still not sold on the name though). It’s common knowledge that new IPs are hard to get off the ground, especially big-budget AAA ones given the high expectations placed on their shoulders. It’s one of the key reasons Sony’s top brass delayed the game from its February 22 release to April 26. Instead of duking it out with Metro Exodus, Crackdown 3, Far Cry New Dawn and Anthem for player’s hearts, minds and cash. While the delay may have been frustrating for players, it’s easy to see that Sony made the right call, with April’s lack of high-profile games (Mortal Kombat 11 aside), it’s paved the way for Days Gone to be the main player this month. Despite the risks of greenlighting new IPs, Sony has remained committed to the cause – pushing the envelope in the process. They may not have got it right every time this generation, but there’s been no one better than Sony at delivering blockbuster single-player games over the past ten years, and there’s every chance Days Gone may be another feather in the cap. After all, this is the team that brought us the legendary Syphon Filter series. Days Gone is set to launch exclusively on the PS4 on April 26.